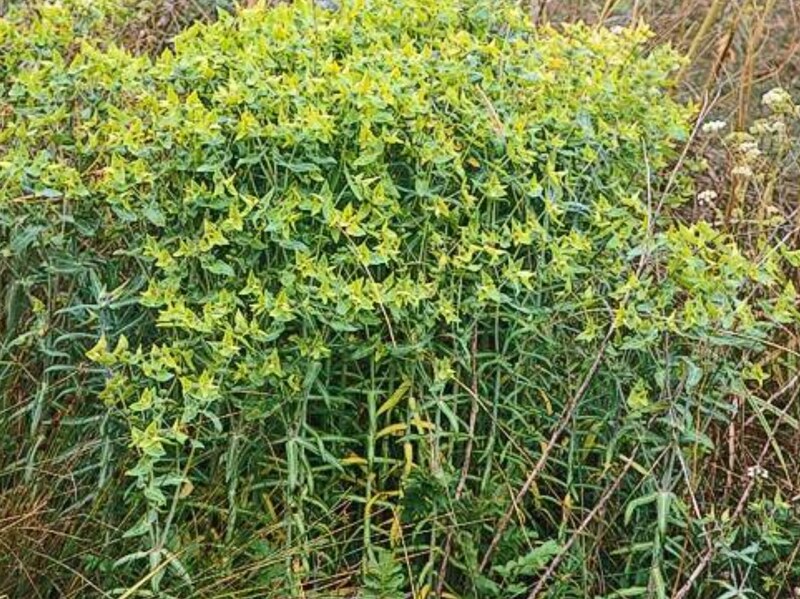 Euphorbia lathyris (caper spurge) is a herb/ (family Euphorbiaceae) with green-yellow flowers and thin narrow leaves found in the coastal ranges, western ranges, the Central Valley, and desert ranges of California. It is native to Europe. It occurs in grasslands, marshes, dunes, scrub and chaparral habitats. It spreads via seed and is dispersed by water, machinery and dumped garden waste.